This looks amazing! 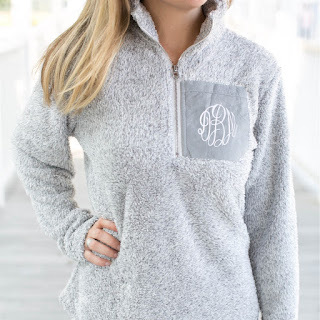 Right now get a Monogrammed Cashmere Sherpa Tunics $31.99 (Retail $68). Our new Cashmere Sherpa fabric is SO soft! We are so excited to offer these this year! They are lighter weight but still warm - longer tunic length and monogrammed on the faux suede patch! $4.99 for the first item and free for each additional item. US only. Ships no later than Wed, Nov 28.